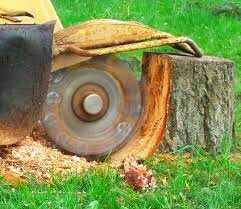 At Kelley Tree Service, we offer 2 different options for stump removal. For your first option, we can leave the spot filled with fresh mulch. This makes a perfect fertilizer for any future plant life. Our second option involves us replanting grass or anything else that you would prefer in its place. You can rest assured that when using our stump removal services, you will never know the stump was ever there. Give us a call at (918)-288-2873. Have you ever noticed that once a tree has been removed, there is always a stubborn stump left in its place? 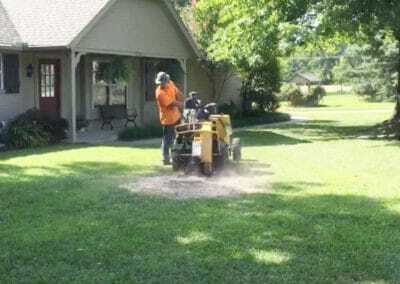 It can really be an eyesore in your yard so it is a good idea to complete the job by grinding the stump. Even though it may not seem like a big issue, these stumps go beyond being ugly to look at. 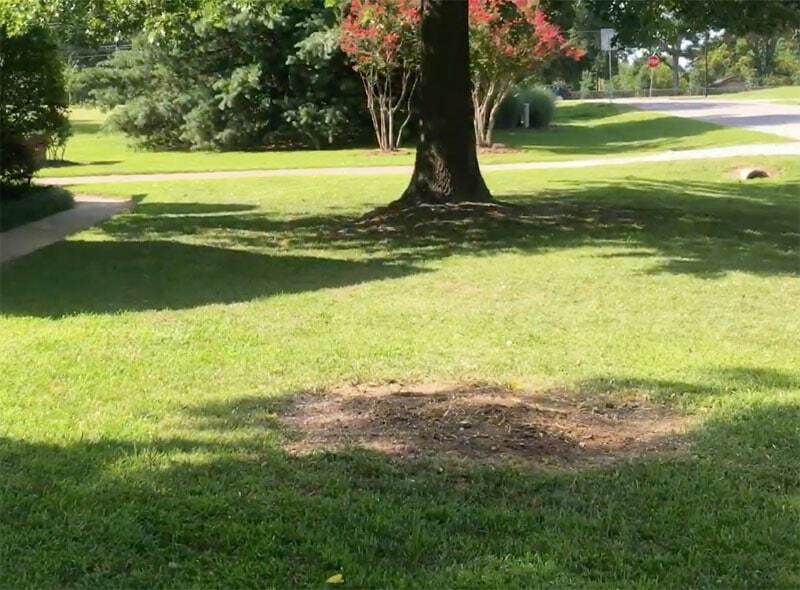 Stumps can take up valuable space and cause long-term problems for your yard. 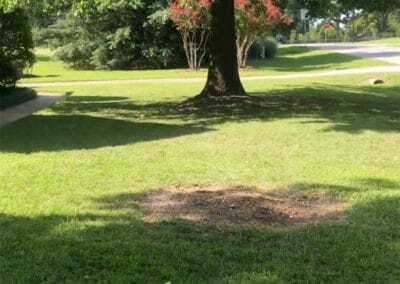 Tree stumps are not only unsightly, but they can also cause problems for the remaining healthy trees. According to National Arborists, fungi can infect tree stumps that are left after a tree has been cut down. The fungi spores are released into the soil and then spread to your healthy trees. 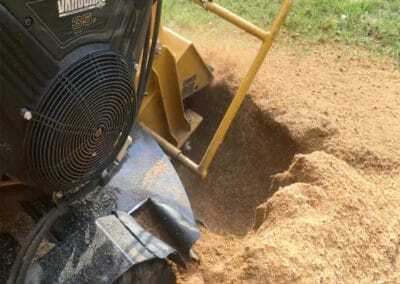 Removing a stump is an extensive process that takes special equipment called a stump grinder or stump cutter. It is a powerful tool that removes tree stumps by using a rotating cutting disc that chips away at the wood. 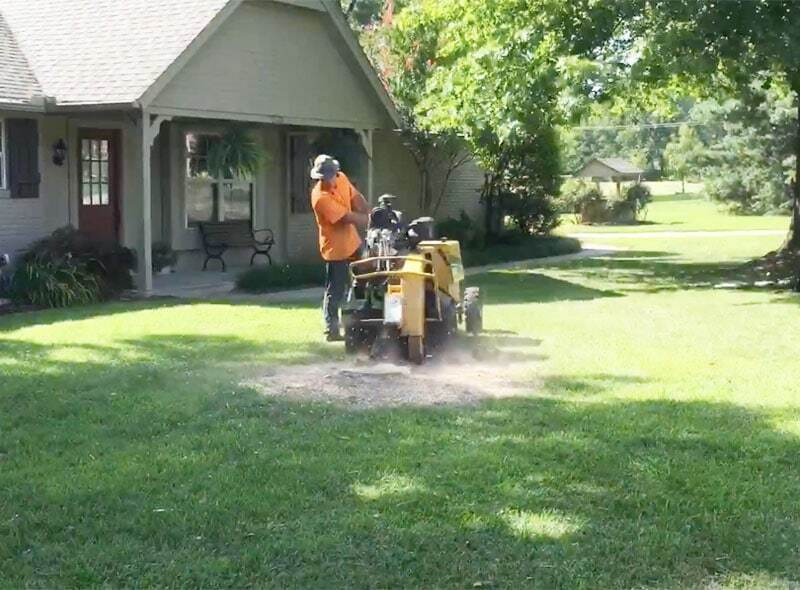 Stump grinders range in size from the size of a lawnmower to being as large as a truck. 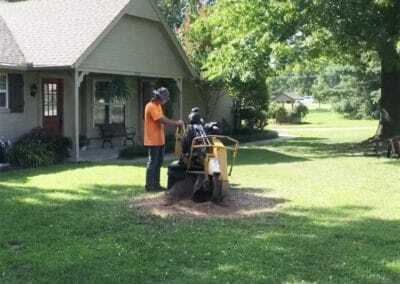 The internet is full of do-it-yourself ideas but if you are considering trying your hand with a stump grinder rental and tackling something like this on your own, we would strongly advise against it. These machines can be extremely dangerous. Only those who have been trained extensively and have had years of experience are qualified to work these machines safely. 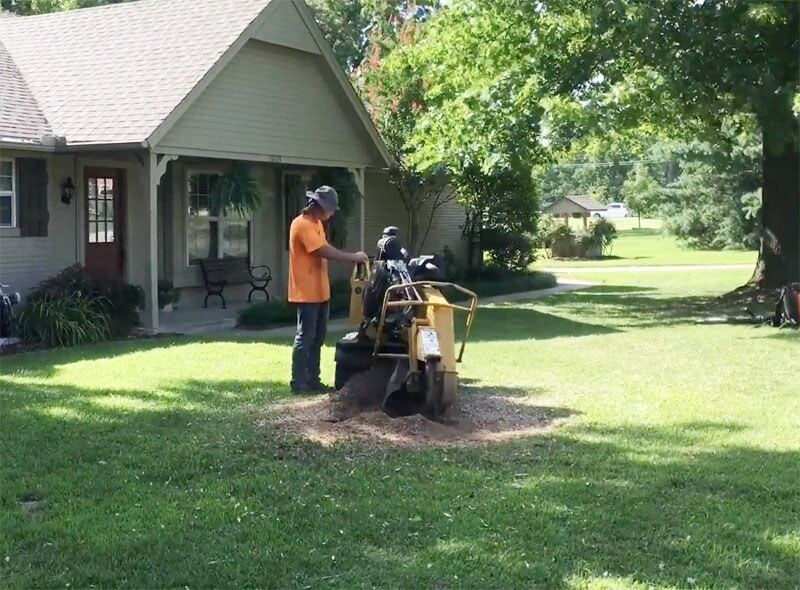 Feel free to give us a call today for a free stump grinding estimate! 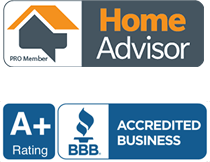 We happily service all of Tulsa County and the surrounding Tulsa Metro areas including Broken Arrow, Sand Springs, Jenks, Bixby, Owasso, Sapulpa, and more. If your city isn’t listed, still give us a call at (918) 288-2873. We will do our best to accommodate your tree needs.